If you’re growing your sales team, that’s a great sign. You’re on the road to greater successes. 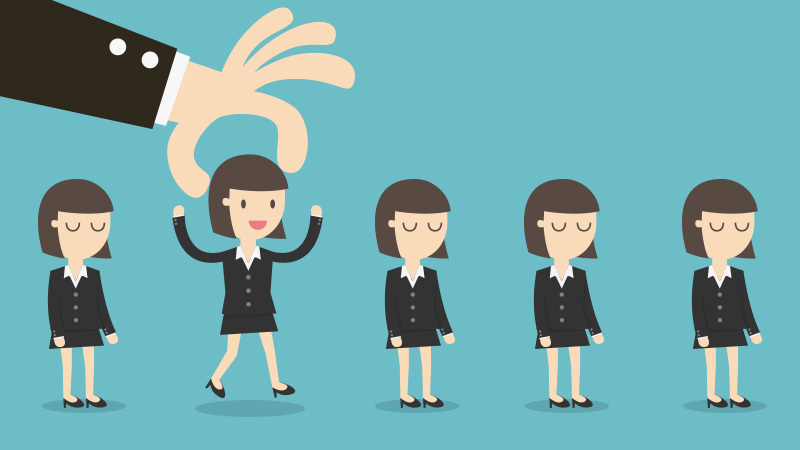 To ensure that success continues, you need to attract the right talent to join your team. You will probably find it difficult to see through the charisma and well-rehearsed interview skills that most sales people were born with which makes it tricky to figure out the true value and personality of a candidate. To help you improve your hiring skills in finding new rocket fuelled sales talent we have created this 6-step guide to help make your final decision easy. Before drafting a job description, you need to review your current business needs and evaluate any experience gaps within your sales team. Be very honest about the skill set and experience level you need. Now consider a realistic budget that you can afford for salary making sure the two match. It might be that you’re looking to take on more sales people for a variety of reasons. Whether its to grow your current success or because you haven’t got the right people in place – you 100% need to know ‘the why’ behind your new sales recruit. If you have previous or current employees that lacked key skills or experience, investigate the specifics of why they have failed or are failing. By doing this you can avoid this occurring again and tailor the job description to suit your ideal candidate. Be clear and concise. A common mistake when writing a job description is the more = more approach leaving you with detail overkill. The brevity will serve you better making sure that the key features of the job role aren’t lost. Set clear expectations for the candidate. Be honest about what a typical day may look like and try not to oversell the glamourous aspects of the role as this will attract more people but may end up in dissatisfaction later down the line. Make sure you are using understandable and clear language, it’s great to say “you’ll be part of a successful sales team” but saying “you will be working within a team of eight, using (xyz) tools to forecast and deliver sales will give the candidate a much clearer picture of the environment and requirements. Take care in considering the skills and experience you consider to be mandatory. This will help you sift through unsuitable applicant’s. Always consider the minimum amount of experience for the role, especially if the role consists of managing others. Sales superstars can be hard to find so you’ll need to use everything in your power to attract your ideal person. Using several portals to advertise the role will give you the opportunity to reach as many candidates as possible. The first step would probably be searching for candidates that are on the look out. Don’t limit yourself to just doing this. Your next superstar will often be someone that isn’t actively searching. While these people may not be searching the online world for their next job, with a personalised and persuasive pitch you might just be able to generate interest in what your company has to offer. Active candidates will be looking at online job posting sites such as Total Jobs, whereas your potential superstar is best contacted via their LinkedIn profiles or email with a tailored message focused on the opportunity you have for them and the key reasons as to why you believe they could be the perfect fit. It’s important to be open minded about experience and backgrounds but always make sure you are clear on the details you won’t comprise on. Interviewing someone with five years of sales experience in software when you’re looking for someone that sells property is likely to be unsuccessful. You want to find a candidate with a consistent track record and impressive results from previous companies. After all, being in sales is a tough environment. Don’t use unexplained gaps in employment as a deal-breaker. Ask them for their story, there might be a valid reason like travelling, most people dream of doing that and it brings some unique experience. Always be wary of candidates that hail themselves as superstars without any evidence to show for it. Focus on the results they have achieved throughout their career, ask them about awards or achievements and what they did to receive them. Make sure you have a structured interview process to follow. There is a standard best practice for interviews comprised of three key stages. Get things started with an informal chat. A little icebreaker or a few personality based questions to help you and the candidate decide whether they are going to fit in with your business culture. Get formal and include key members of the team they would be joining. This gives you the chance more specific questions from all areas of the business. Last step, ask them to prep and deliver a presentation to key people within the business. This will be a test them on how they perform under pressure. Sales is an area dependant on people that can be engaging and persuasive. This presentation will give you a deeper understanding on whether the candidate is suitable and has the passion for the role. Responsibility – What’s the biggest mistake you have made? What did you do about it? What was the outcome? Goal oriented – What do you think you can achieve in your first 3 months with us? Motivation – When did you receive your last ‘No’ from a potential client? What did you do next? Being adaptable – Have you been in a situation where your boss changed the tools or process you used? What happened? How did you handle it? Homework and knowledge – Why do you think you would be a good fit here? Persistence – Have you been told ‘No’ but still managed to convert the prospect. Time management – When do you know its time to no longer pursue a lead? Training – What have you learnt in the last year that you applied to your current sales process? How successful was it? Tools – Are you familiar with (xyz)? If it’s a yes, ask them how they will use it in this role. Make and negotiate an offer. Sometimes an interview process can take a long time, so your candidate may well be speaking to other businesses recruiting. It’s important to keep the lines of communication open. If you’re thinking this could be your next superstar, make sure they know you are keen. Keeping them in the loop with prevent them from accepting offers elsewhere. A great salesperson will always negotiate, and you will see this first hand when you make them an offer. A superstar will expertly negotiate the best salary they can so be prepared as there is a good chance they will refuse your first offer. If in the end they convince you, it shows their expertise and you will feel more convinced you have just hired a perfect fit.We understand that hiring the right salespeople for your team can be time consuming and stressful so follow these 6 steps and increase your chances of finding the perfect people.